It’s just been confirmed to us by Huawei UK that they have no plans to bring the Huawei Mate 20 X to the UK. The Mate 20 X, with its 7.2 inch IPS LCD screen is being pitched as a phone/tablet (phablet), like a super-sized Galaxy Note, but with an optional pressure-sensitive pen/stylus rather than a standard one. It also has the same triple-camera module as the range-topping Mate 20 Pro, complete with the 20 megapixel ultra-wide camera and the 40 megapixel main camera. 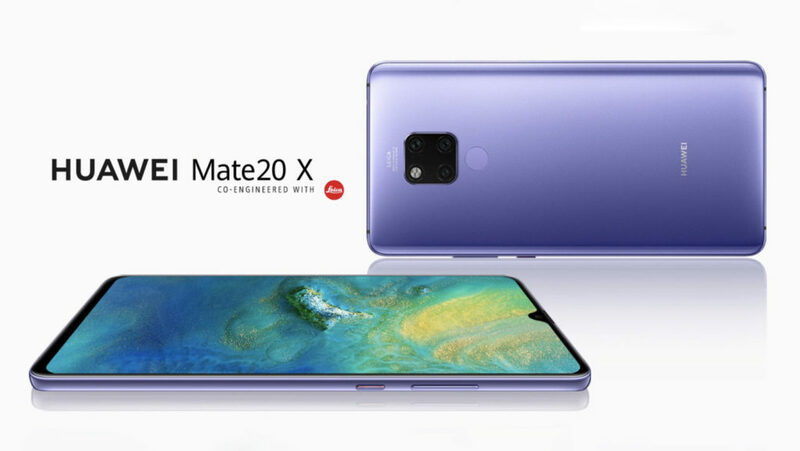 Instead, the entry-level Mate 20 has only 16 and 12 megapixel resolution sensors, respectively. Another attraction of the X is its 5000 mAh battery, 25% larger in capacity than the Mate 20 and 19% greater than the Mate 20 Pro. Huawei was also promoting the Mate 20 X as a gaming phone, complete with grip/controller accessories. At last week’s global launch a price, in Euros, was quoted for the Mate 20 X, of €899 compared to €1049 for the Mate 20 Pro and €849 for a Mate 20 with the same RAM and flash storage (6GB/128GB). We have been unable to confirm if the Mate 20 X will be available elsewhere in Europe. It has now been listed on the UK Huawei website.